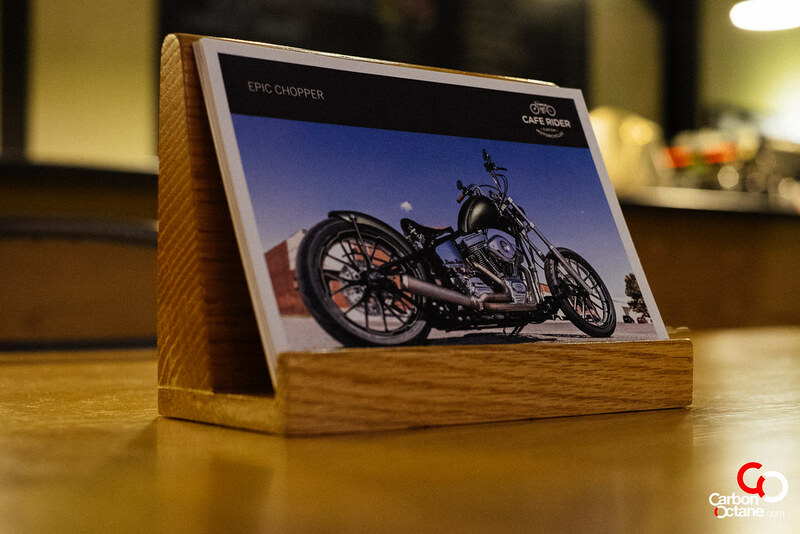 At Café Rider we inspire to be Curators of Art. 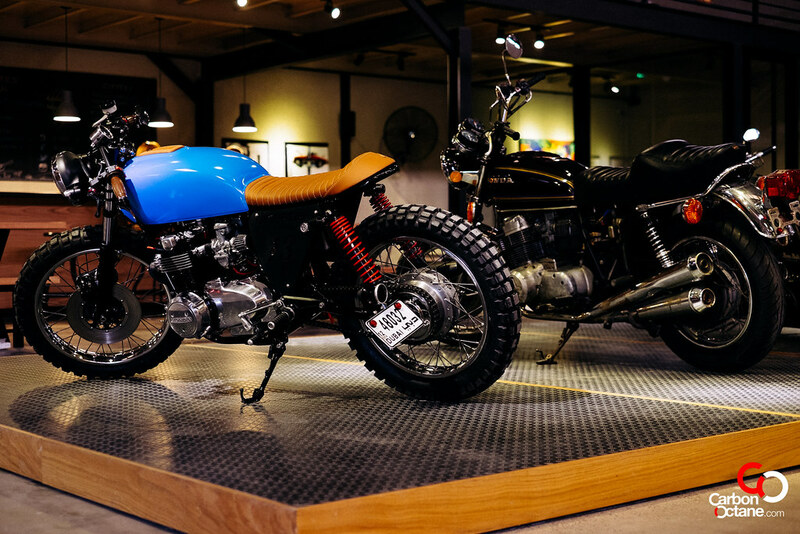 Our passion for Art is expressed by our innate love for 2 wheelers, the lifestyle surrounding it and specialty coffee. 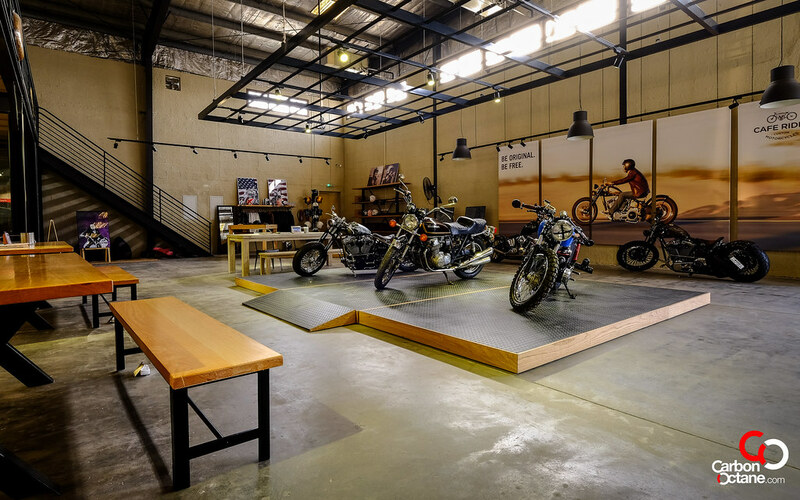 We strive to bring all of these together to the best of our capabilities and to give every friend of Café Rider a unique experience in our warehouse-showroom. 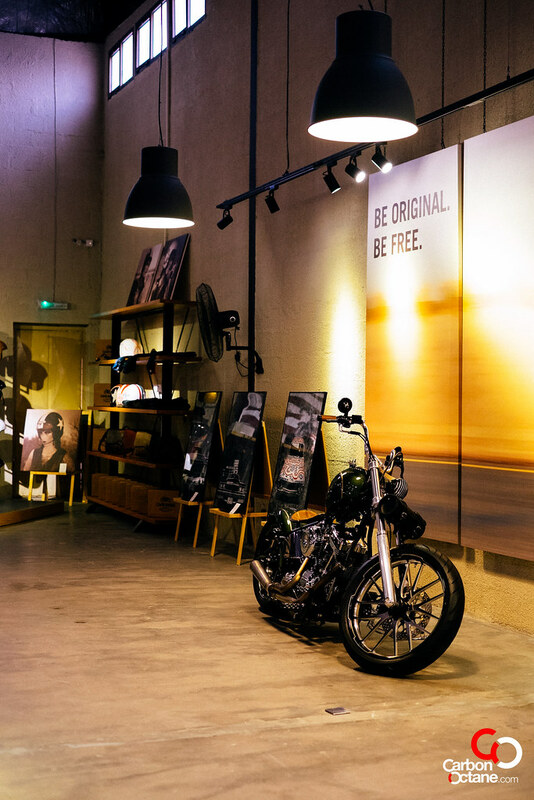 A platform to express yourself and an environment that reflects the creative culture which is now taking root in the UAE, and especially in Al Quoz – Dubai. 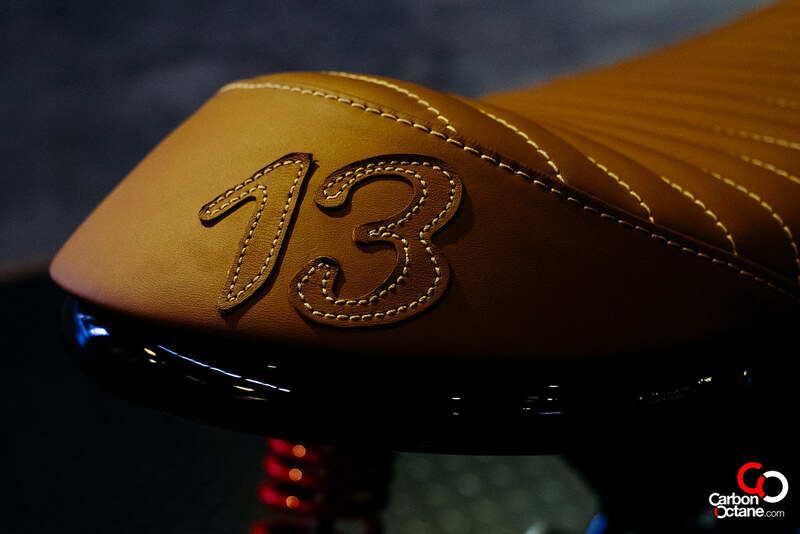 To bring back the Golden Age of Motorcycle Magic and the lifestyle it signified. 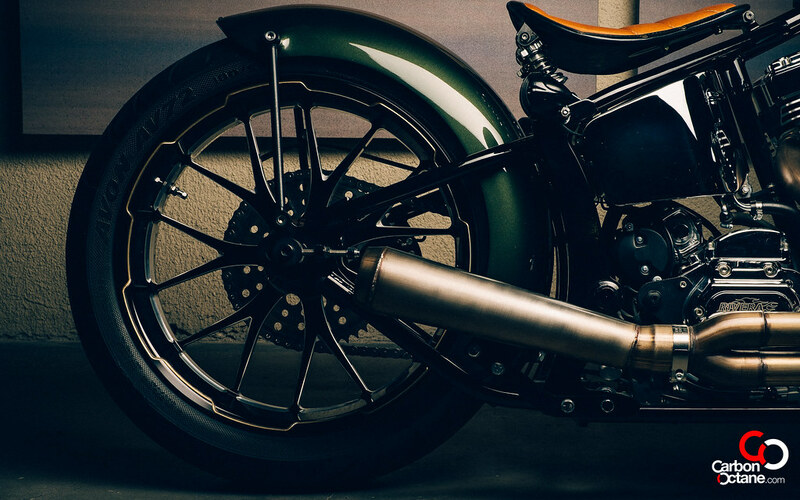 An era where café racers, bobbers, rockers, greasers dominated the streets. 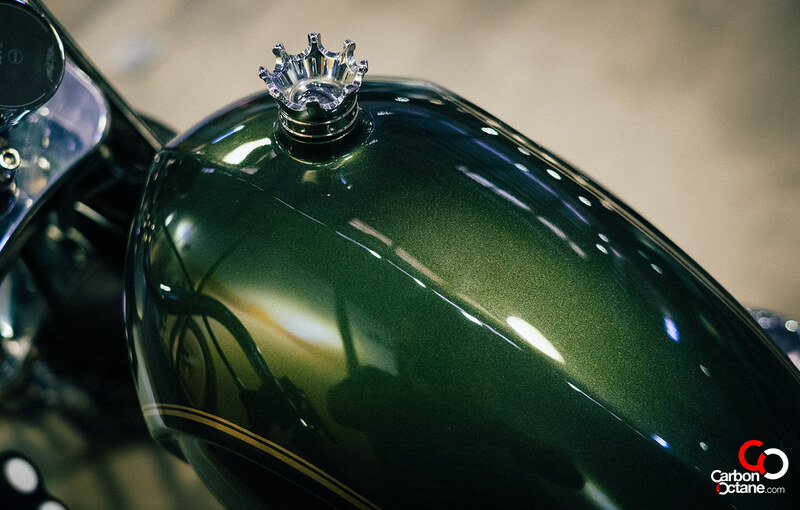 These bikes were born / stripped from their original look after the World Wars, in order to make them lighter, faster and more fun to ride. 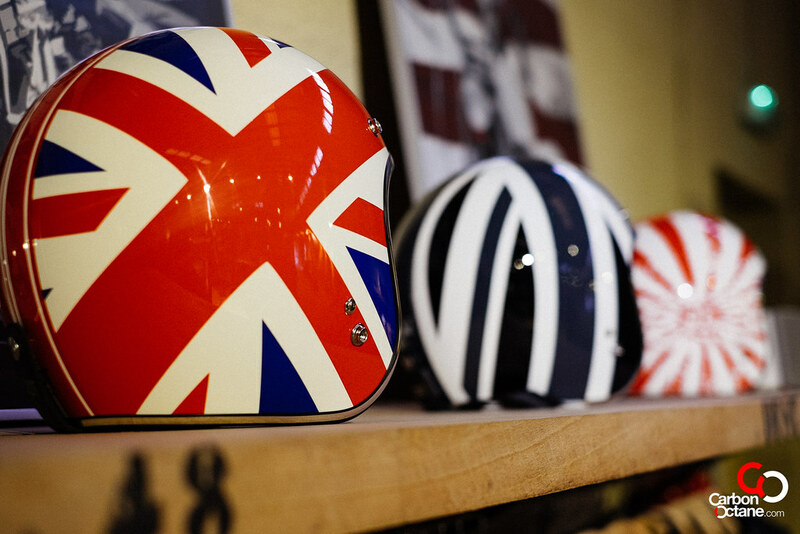 Races were held from Café to Café and motorcycles were used by the young, old and the cool. That era came to an end with the boom of the 90’s as we all wanted bigger, faster, wider, louder and things that we could rather just buy off-the-shelf. We were told what was cool and brain washed into the culture of instant gratification. The recent recession has reset that again, revolutionizing the way we think, behave and consume. No longer does popular belief dominate our likes and dislikes. In an age where the only thing, which makes us, cool is to be our self. 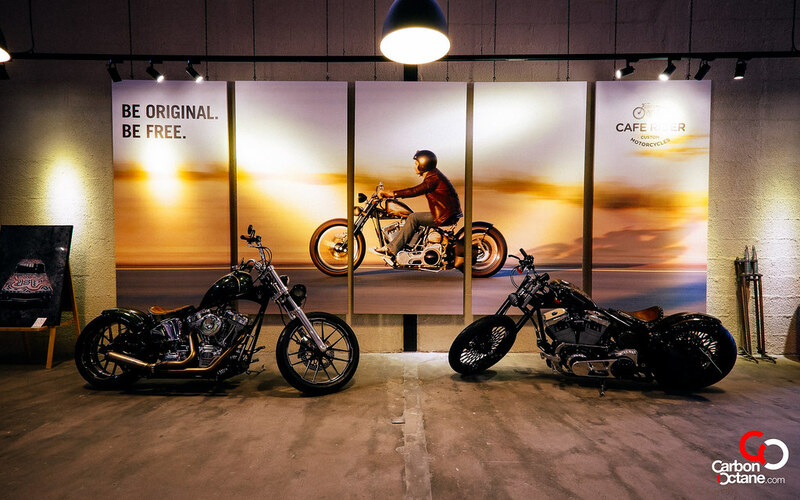 We at Café Rider give you that freedom and the canvas. 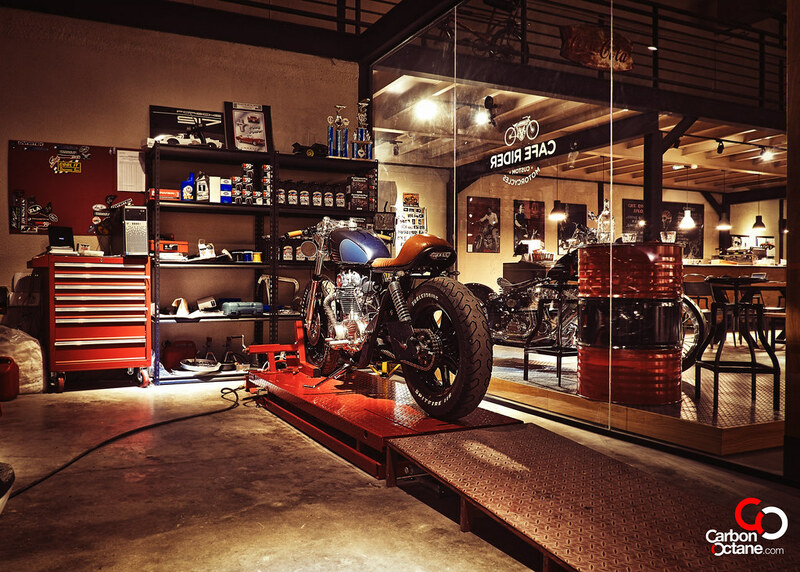 We make Bobbers, Choppers and Café Racers. 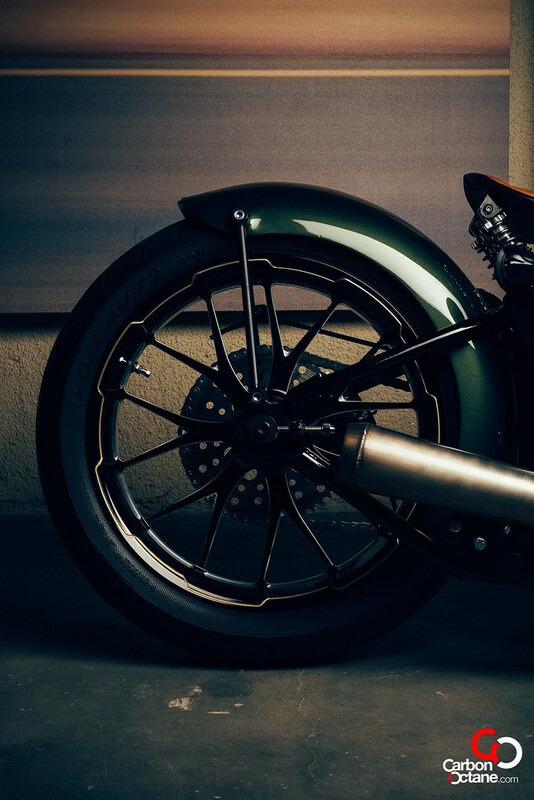 We provide the customer with a donor bike or they can bring in something they like. 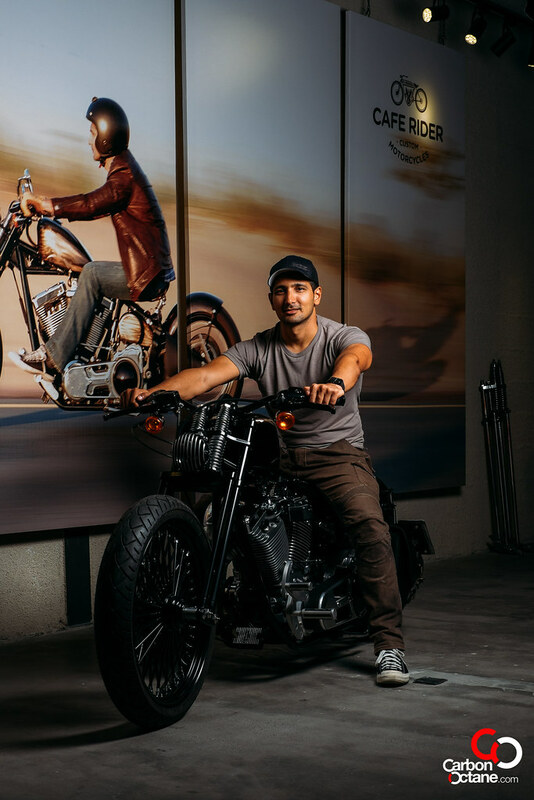 Our head of bikes sales Anwar; then sits down in for the designing phase with the customer and to go through the options, pricing and variations that can be done with the bike in question, while paying a lot of attention to form, function and of course safety. We have a few projects going on at the moment, but the one we have just finished Project Zero. It has just concluded a successful rest run and now ready for sale @ Aed 57,500. Relocation of license plate, rear brake lights with LED turn signals. 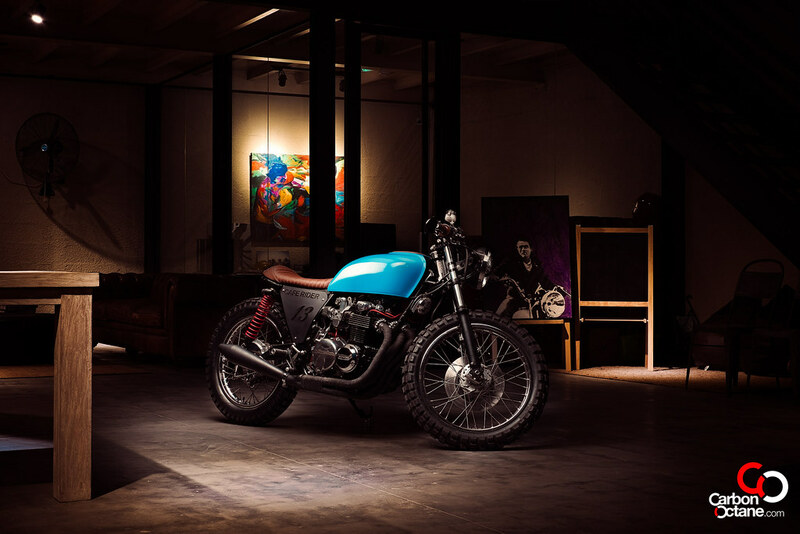 Besides building these bikes, we are also the Exclusive Dealers for Darwin Motorcycles in the Middle East. 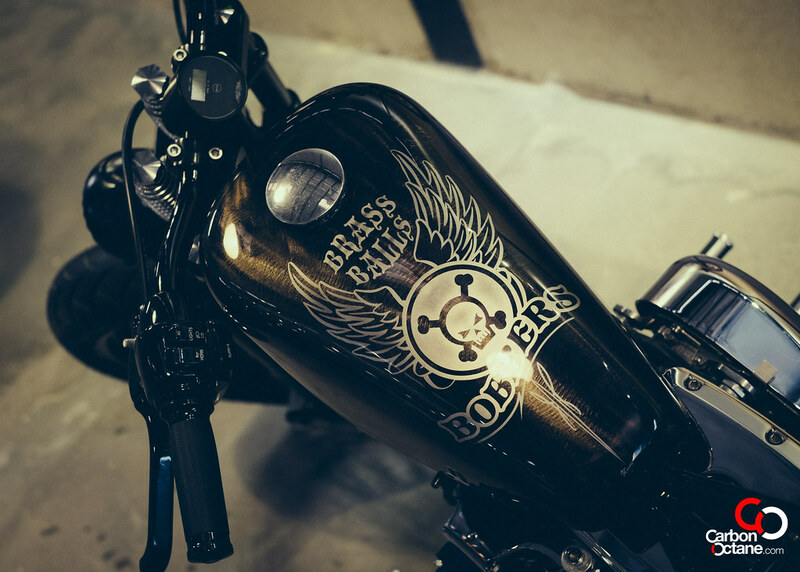 Dar the owner of Brass Balls Bobbers has been a central part of Café Rider and the world-class bikes which we have on display are the envy of many builders around the world. 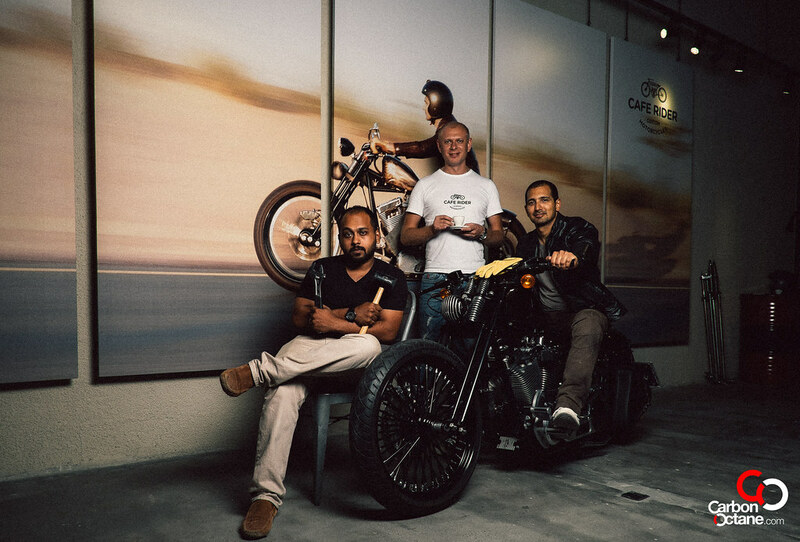 Dar is the only bike builder in the world to win the AMD production class two years running and is currently in the process of building a show-stopper for the Hot Bike Build-Off in the US. 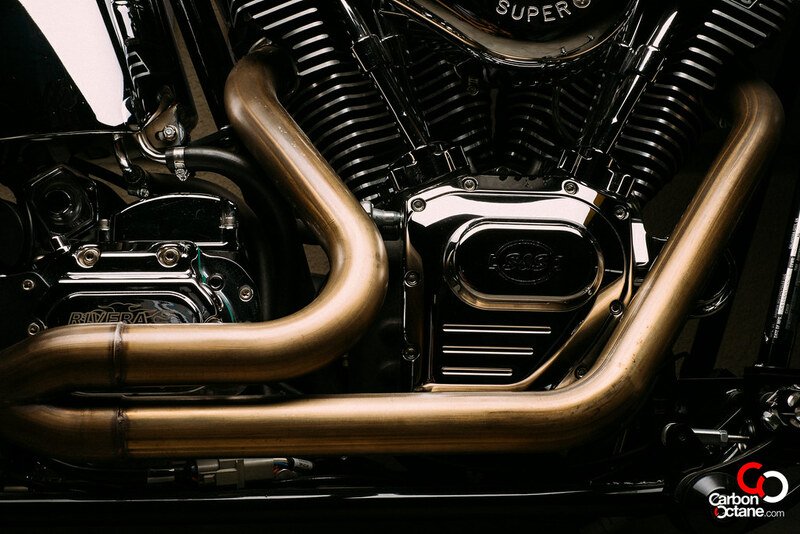 This build-off has seen the top 10 bike builders in the world coming together to put to the test; form and function as they ride 2,000 miles across the US to choose the winner. 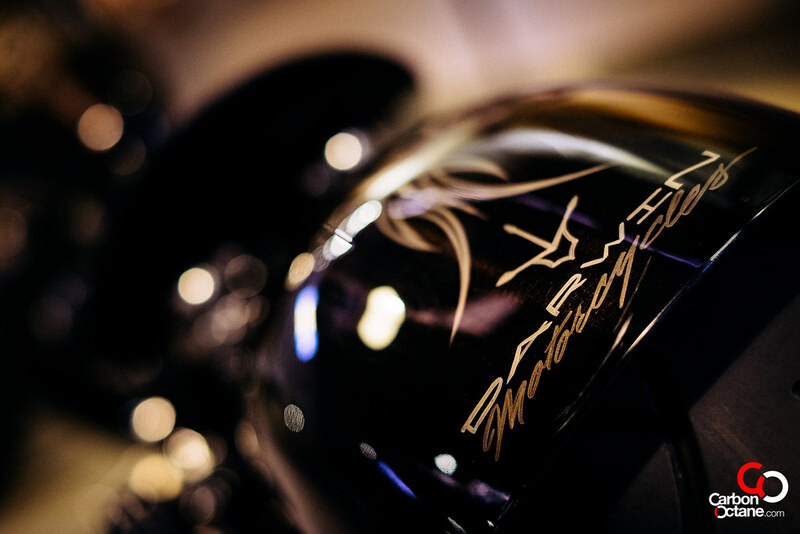 Currently Dar has nine models that are all available for the UAE and the rest of the Middle East market. 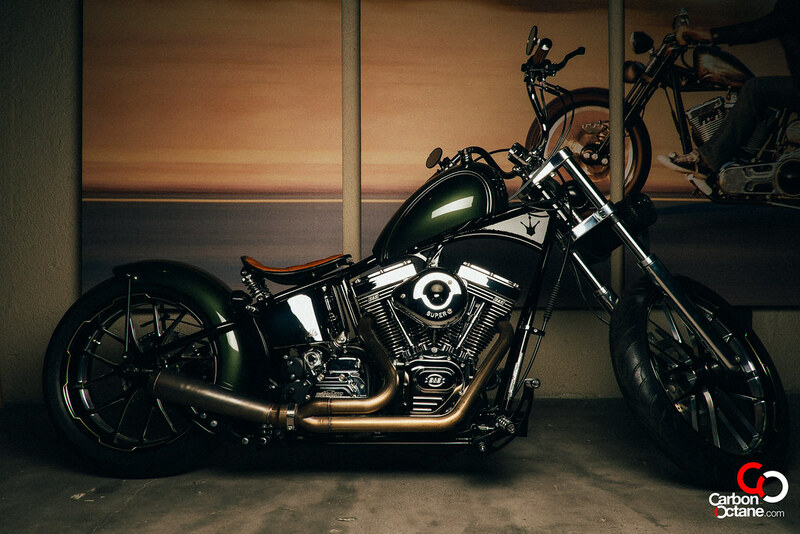 Model 1, Classic Bobber, Digger, Rocketeer, 69 Chopper, Epic Chopper, Vintage American, Brawler GT and the F3. Prices start at AED 92,500 and goes up to AED 300,000. 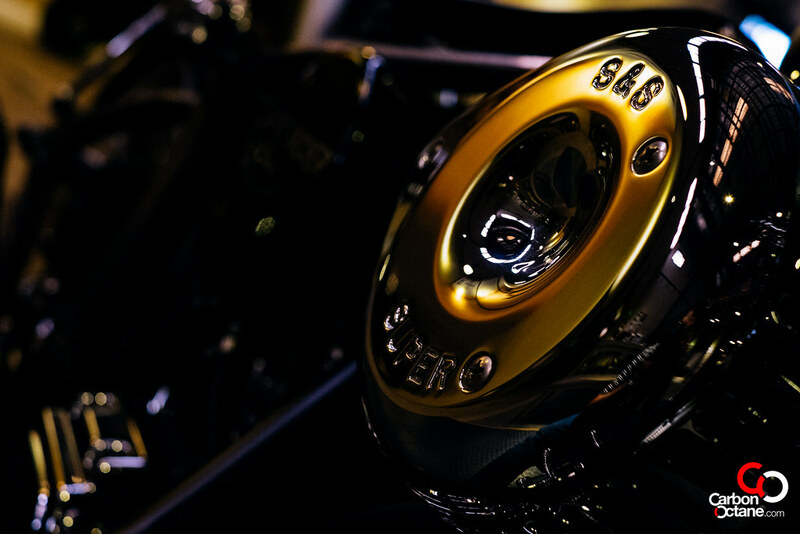 With this price tag; you get the most exclusive and sought after handmade motorcycles in the world, right here in the Middle East. 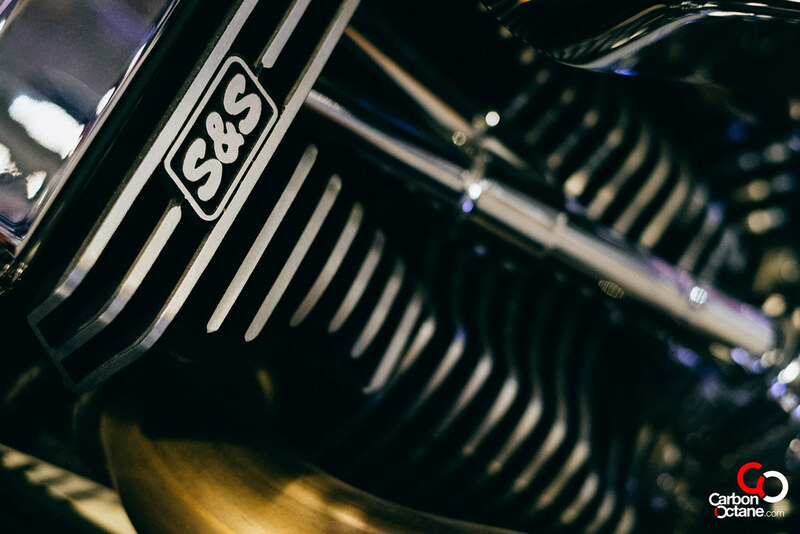 Along with the peace of mind of a 2 year engine warranty from S&S and the first year of service absolutely free. 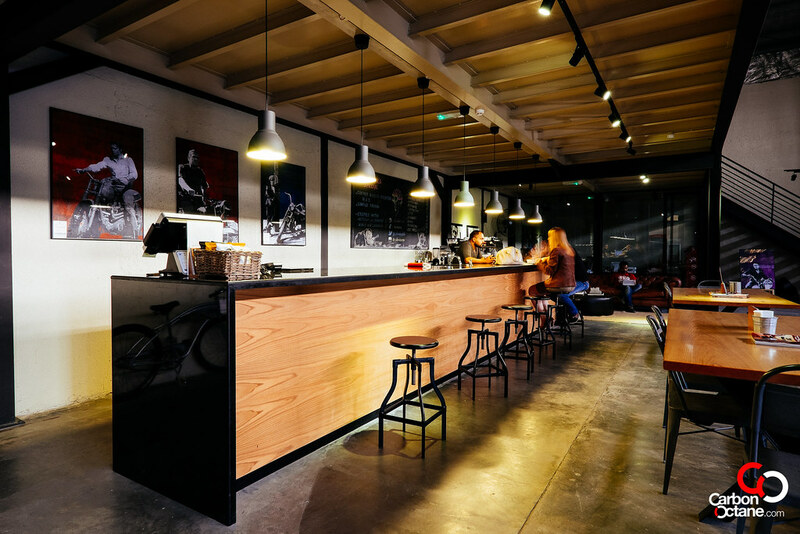 Our Specialty coffee bar is the center of our store and business. It is something we thought was lacking in Dubai. 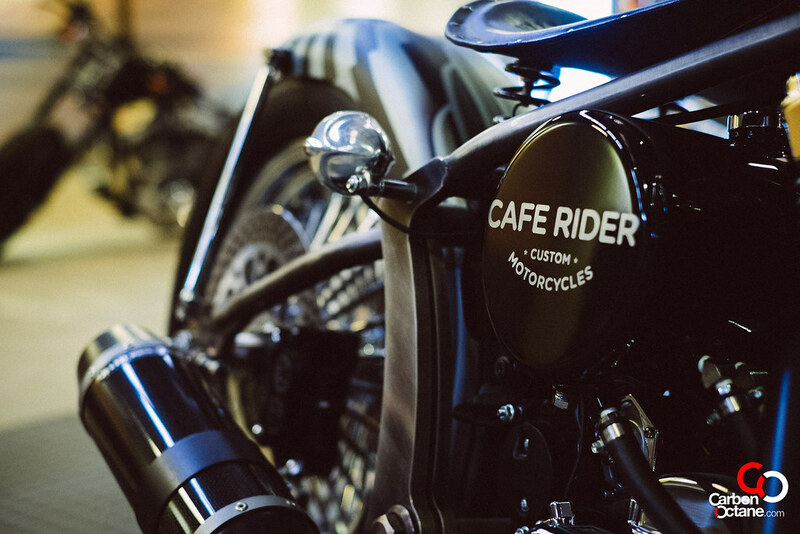 We source the best coffee beans we can from around the world and bring it all together here at Café Rider. 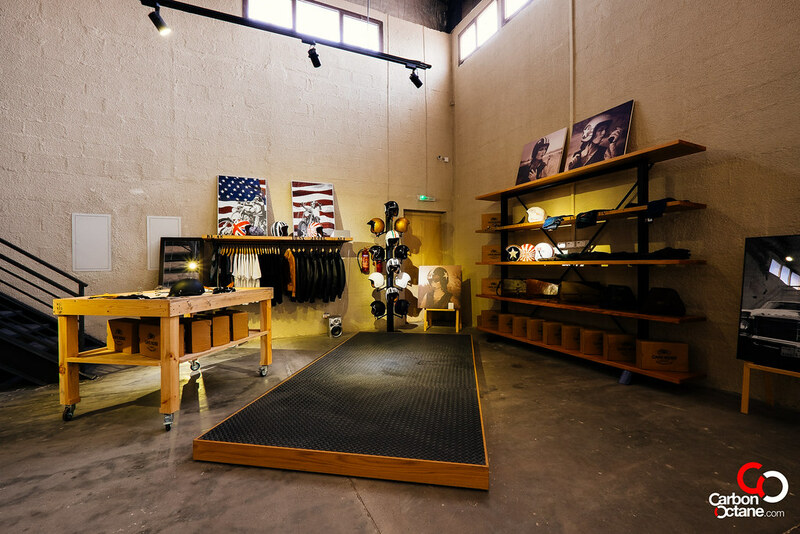 We work with some of the most talented roasters both local and international to keep the quality in check and always keep the end user interested. Dima, our Head Barista / Mix-0-logist and ex-Ukrainian Champion, then puts his skills to the test to bring you some very special cold and hot drinks besides the classic cappuccino’s and espresso’s. We also serve up some very delicious crêpes, which are a great meal to compliment our specialty coffee. 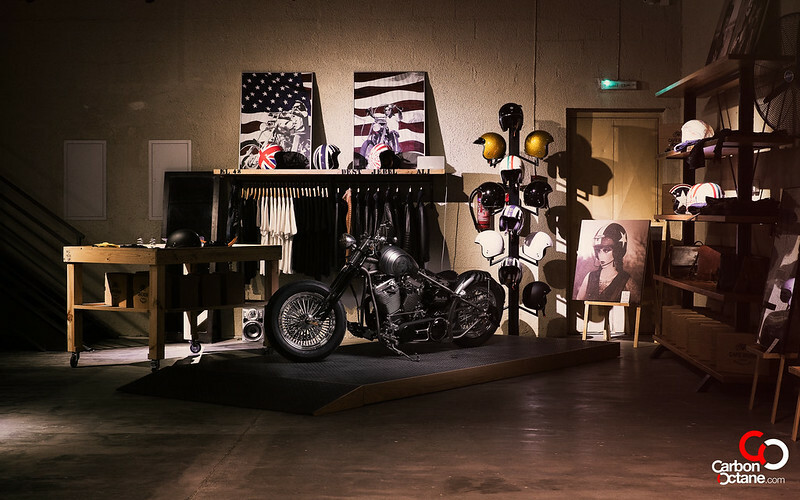 Lastly our Lifestyle store has a range of products from leather jackets to helmets and t-shirts. 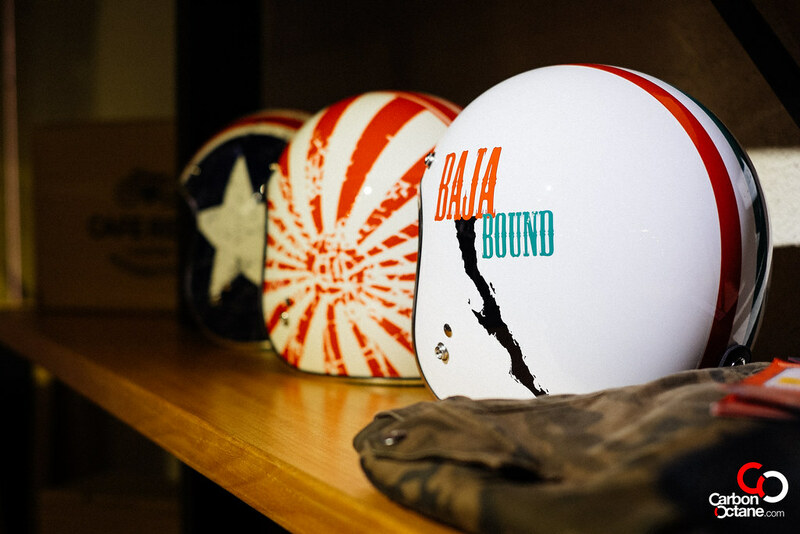 It is a combination of things we designed, while some we have exclusive tie ups with. 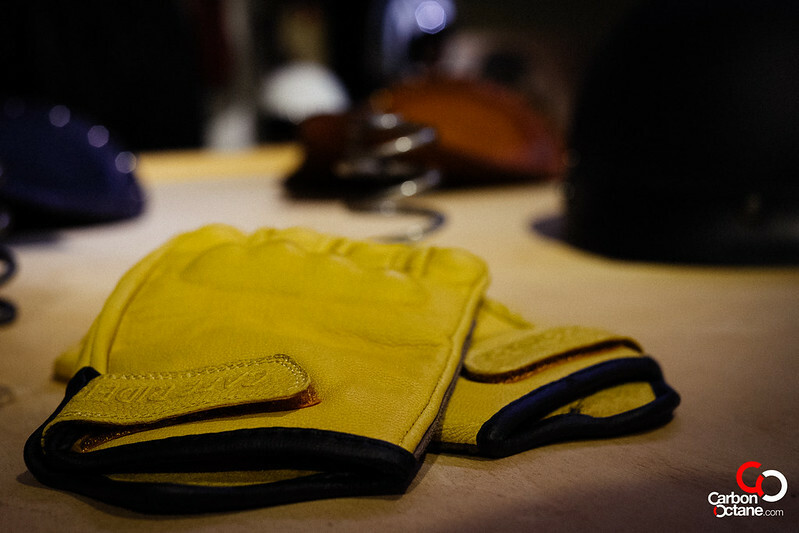 Our philosophy is that we will not get anything in store we would not wear or use ourselves. 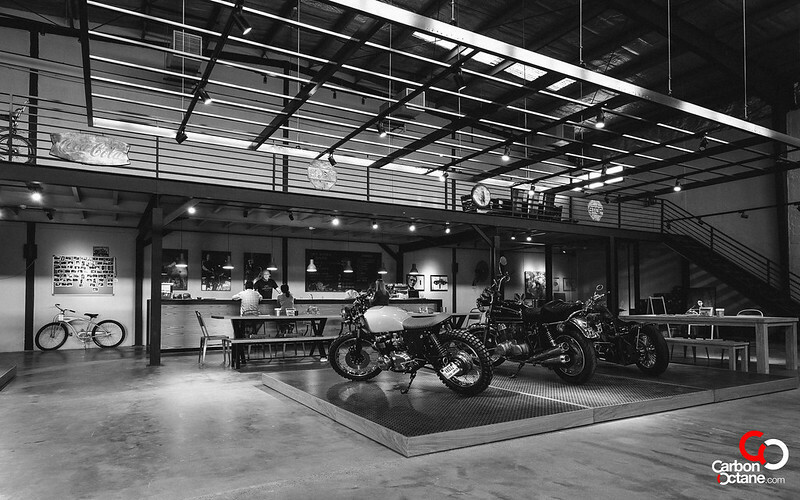 All of the above makes Café Rider a very unique experience and environment to visit and spend your time at.